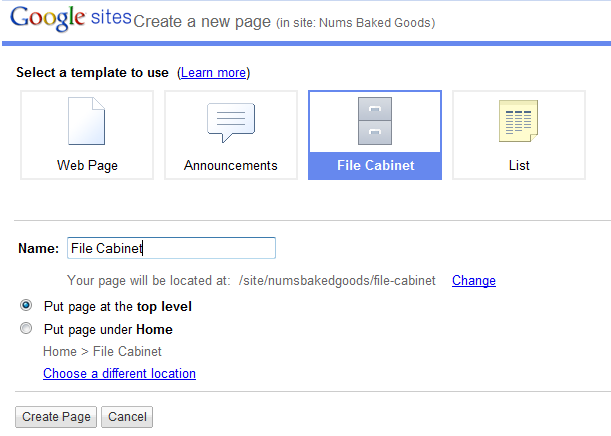 When you click create page in your Google Site you can choose from four primary types of pages. One essential page is the 'File Cabinet' page. Try Out a File Cabinet, Your Behind the Scenes Storage! 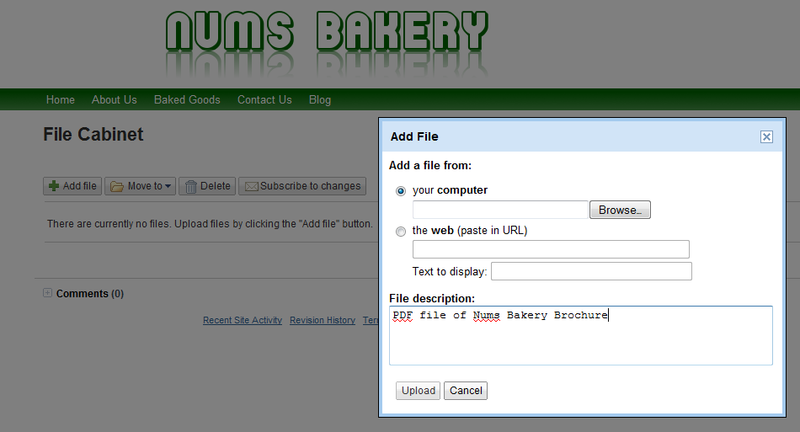 Now your visitors can easily click and view your uploaded files. .PDF files should open automatically in the visitor's browsers. 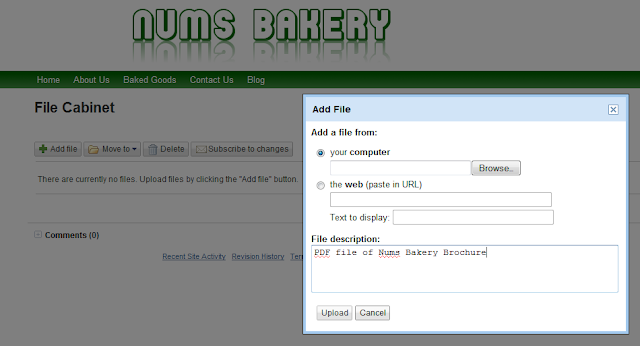 .DOC files will be downloaded when the link is clicked, so inform your visitors accordingly. If you copy the link for 'View File' from your file cabinet Google will open a Google Doc, which is messier and less straightforward for visitors. Enjoy this little tip for your behind the scenes storage (I wouldn't add this page to your navigation).